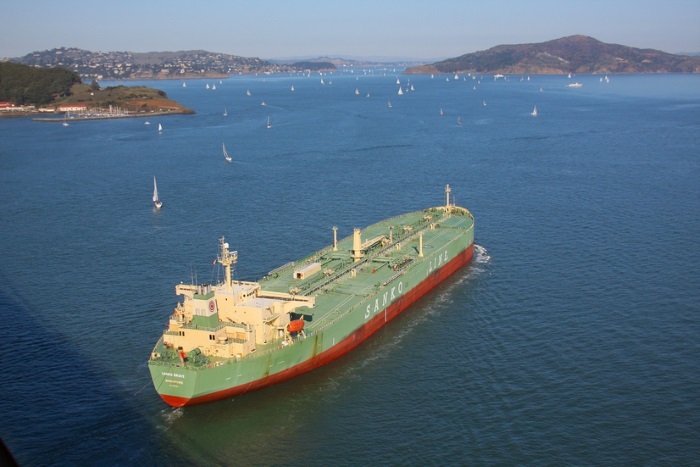 The tanker market has been facing the doldrums for quite some time now. 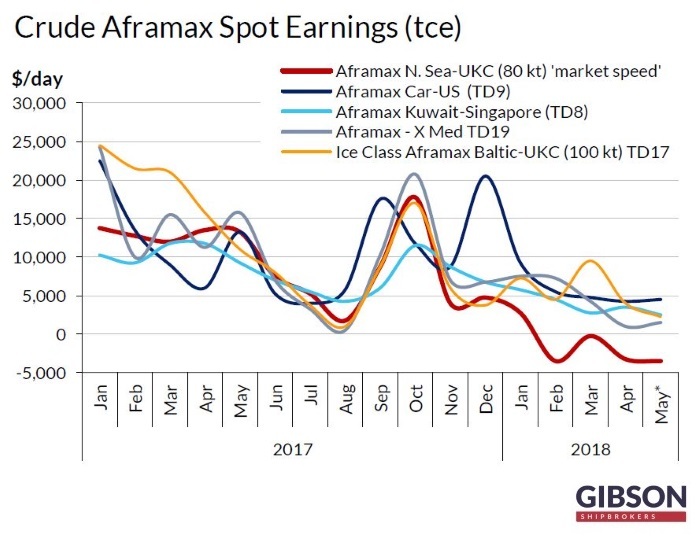 But if one could attempt to find a silver lining in the market since the start of 2018, this would be the Aframax segment in the North Sea. 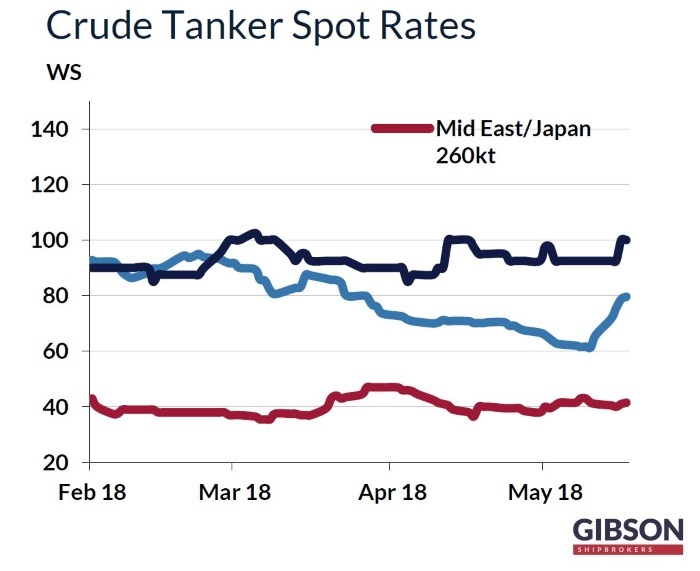 In its latest weekly report, shipbroker Gibson said that “it goes without saying that crude tanker earnings across all size groups have been at very depressed levels this year. However, if one is to choose the “winner” in terms of the worst performance, it probably will be Aframaxes trading in the North Sea. Despite traditional support offered to the market during the winter months, spot TCE earnings on the key trade from Hound Point to Wilhelmshaven (TD7) averaged so far in 2018 at disastrous levels. The running average for the year to date shows a negative return of minus $1,750/day for a tanker with standard consumption levels before waiting time is taken into account”. The London-based shipbroker added that “in addition to weak fundamentals, there are also factors behind this exceptional weakness that are unique to Aframaxes trading in North West Europe. Mild weather for most of the winter season reduced to the minimum the volatility in rates. There has also been a notable decline in Russian crude exports in the Baltic. Crude exports from Primorsk and Ust Luga averaged just under 1.3 million b/d during the 1 st quarter of this year, down by over 350,000 b/d compared to the corresponding period in 2017, following the expansion of the ESPO pipeline spur into China mainland. Crude production in the North Sea has also declined, although not so dramatically. Output fell by 130,000 b/d during 1st three months of this year relative to Q1 2017”. “While there is less demand, tonnage availability is heavier, and the growing fleet is only one of the reasons. Since September 2017, there has been a notable increase in volume of US crude being shipped to Europe, primarily on Aframaxes, boosting the number of tankers looking for employment in the region. According to AIS data, during the 1st four months of this year 35 Aframaxes loaded in the US for discharge in North West Europe compared to just 14 units over the corresponding period in 2017. Another 26 Aframaxes departed from the US for the Mediterranean discharge between January and April 2018 versus 11 tankers over the same period in 2017”. Gibson added that “the current trade dynamics in North West Europe are unlikely to change dramatically anytime soon. Production cutbacks need to be lifted to see meaningful and sustainable increases in crude exports out of Russia. Output in the North Sea is projected to slip further this year and in 2019. Only in 2020 production is forecast to bounce back, following the start-up of new projects in Norway. At the same time, crude supply in the US keeps rising at relentless pace, suggesting that exports are also likely to carry on growing. Most of the growth in demand for US crude is coming from Asia. 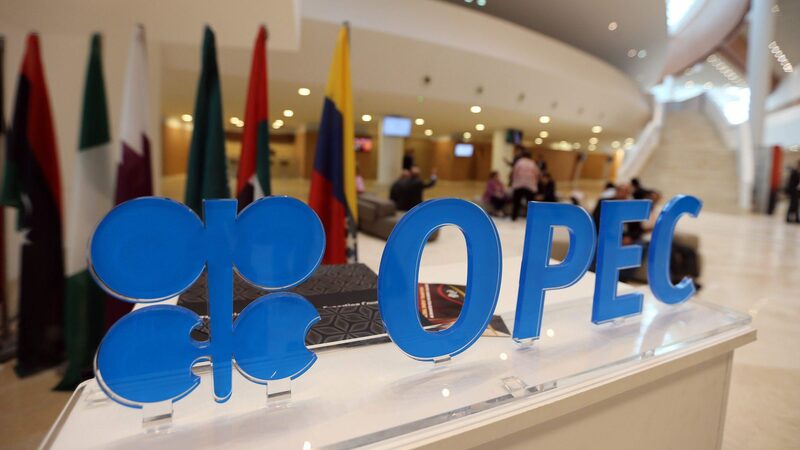 However, until VLCC loading infrastructure in the US is improved to eliminate the expensive practice of reverse lightening, US barrels could remain attractively priced for the European market. If this is the case, it will only keep Aframax availability off the UK Continent and in the Mediterranean at elevated levels. Yet, as there is limited scope for growth in crude demand in Europe, the same is also likely to push more of the regional supply, be it West African, Mediterranean or North Sea barrels, to Asia on bigger tonnage”. “As far as the Aframaxes trading in the North Sea are concerned, perhaps the most realistic prospect for improvement in the immediate future is actually on the supply side. As spot earnings are worse than in other key trades, owners may be prompted to reposition to a different trading area, if the opportunity arises. 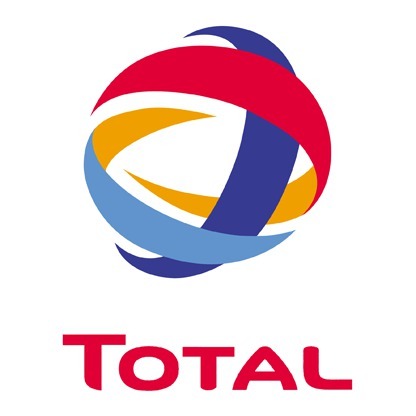 Owners of coated tankers may take an even more radical approach and switch to the clean tanker market all together. Longer term, the slowing pace of deliveries and prospects of higher demolition driven by new legislation offer hope for a more substantial recovery”, Gibson concluded. 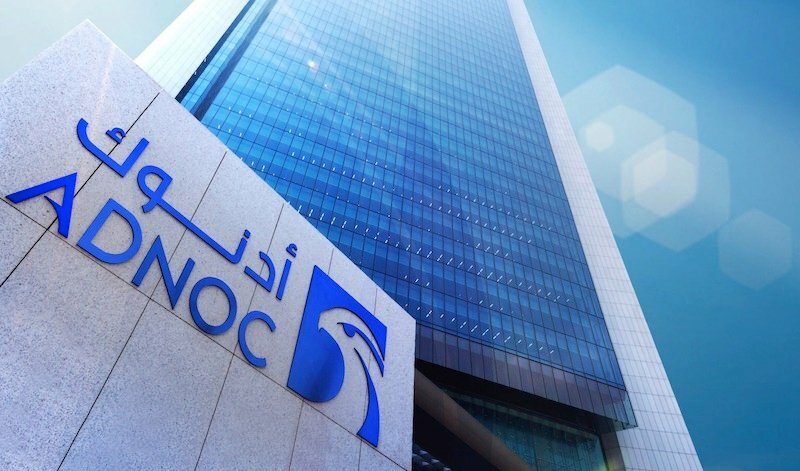 Meanwhile, in the crude tanker markets this week, in the Middle East, the shipbroker said that there was “no improvement in extremely depressed earnings for VLCCs, despite Worldscale market values moving up a few ws points over the week – a merely compensatory move for higher bunker prices. Availability remains very easy, and the fresh June programme is unlikely to cause Charterers any cause for concern. Rates operate at up to ws 44.5 East for modern units with under ws 18 available to the USGulf via Cape. Suezmaxes remained flatline, at best, and an increasing number of Owners are precluding themselves from Iranian trades to further swell availability for other loadports. Rates cling on to around ws 62.5 to the East, and to ws 25 to the West with many vessels likely to head to the Atlantic in protest/as alternative. Aframaxes found reasonable levels of enquiry, and enough to ease rates into the mid ws 90’s to Singapore, where they are likely to hold over the next fixing phase also”. Can Shale Oil Producers Restrain Their Animal Spirits?